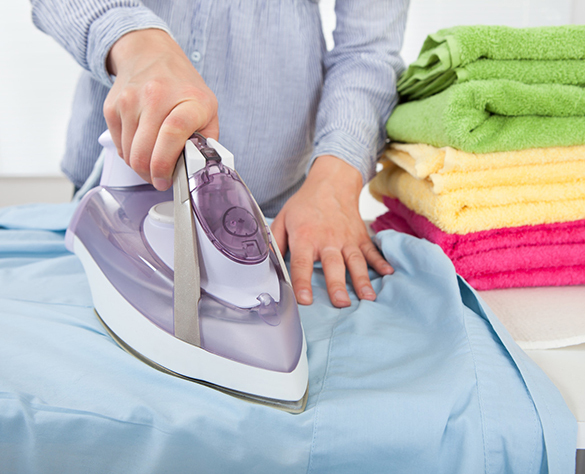 The Ironing Lady Ltd | Let us do the hard work for you. Let Us Do The Hard Work For You!! Too busy to fit ironing in? We are a company that strives to consistently produce only the highest quality of service to all its customers, whether your needs are big, small or ad hoc. Dedicated to customer satisfaction, you can be assured of a professional but friendly approach from our experienced and happy staff. All our ladies are undergoing continuous training and development, working towards relevant qualifications which recognise their skills.. The Ironing Lady is a member of the Guild of Cleaners and Launderers. The Ironing Lady is an Approved Buy With Confidence member. Trading Standards Approved. 11 Cleaning Tips That You Should Avoid Because They Don’t Work!